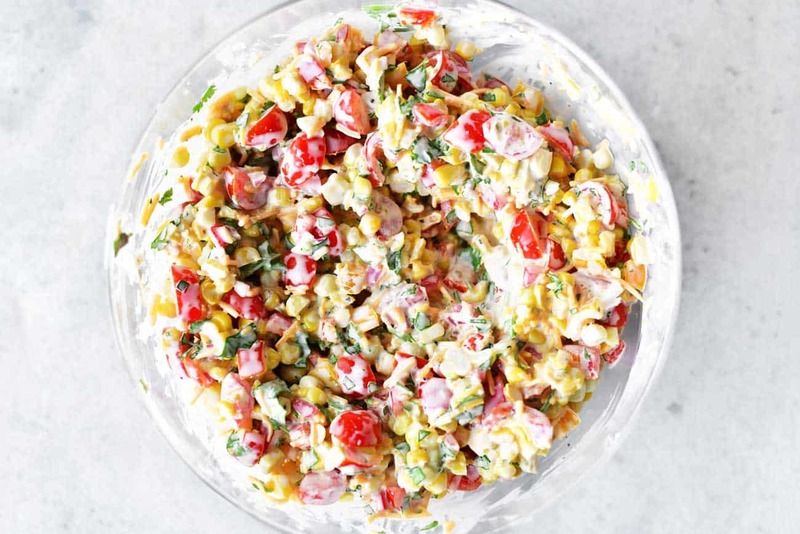 This Corn Salad recipe is a creamy combination of fresh sweet corn, colorful peppers, and ripe tomatoes! 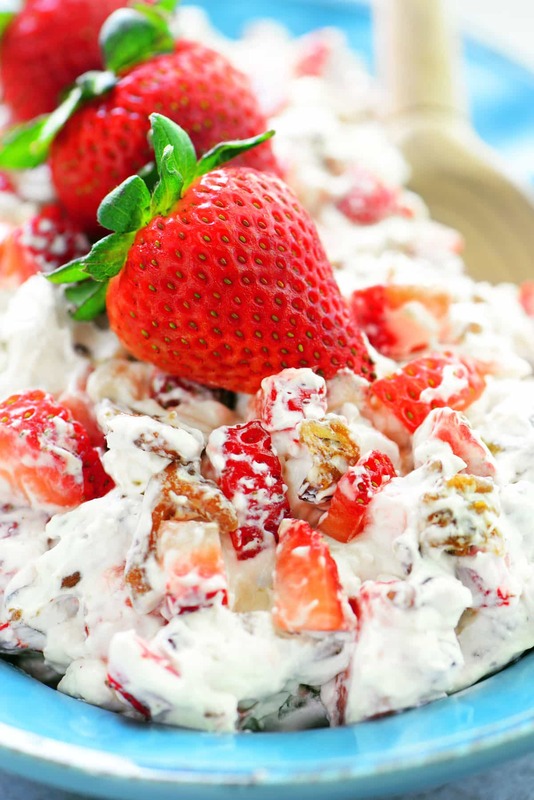 It is the perfect summer salad for potlucks, picnics, and barbecues. 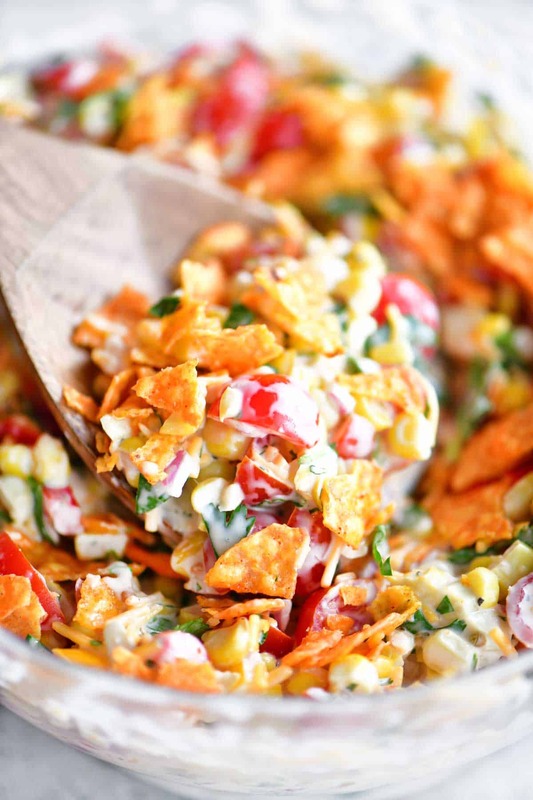 Fresh corn salad only takes a few minutes to mix up and can also be served as a party appetizer as a dip with chips. While visiting with a friend recently, she asked me if I’d ever made corn salad and I said no it had not but would love to try it. She got the recipe from her sister and forwarded it on to me. 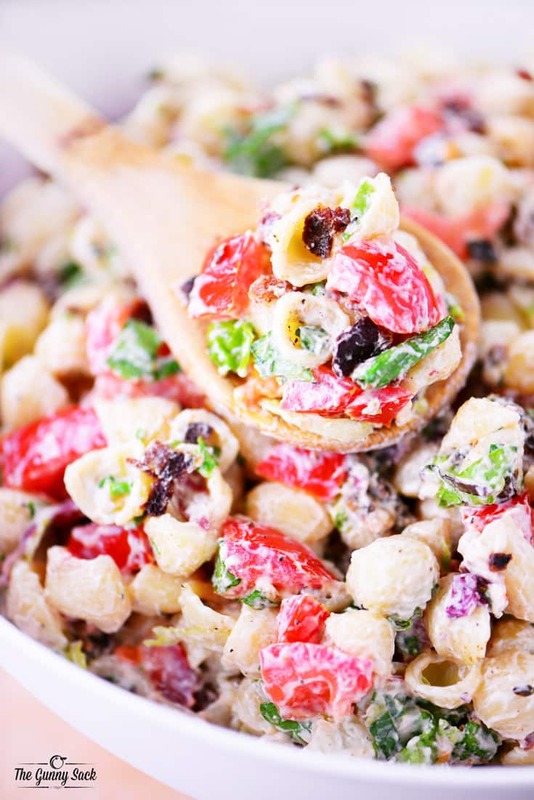 The “recipe” was actually just a list of the ingredients she used to make the salad without specific measurements which is great because it means this summer salad is totally adaptable for whatever amount of ingredients you have on hand. I added my own twist to the salad and now I want to eat it every day for lunch, dinner, and snack! 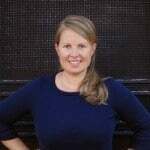 Watch my Corn Salad video to see the recipe in motion. 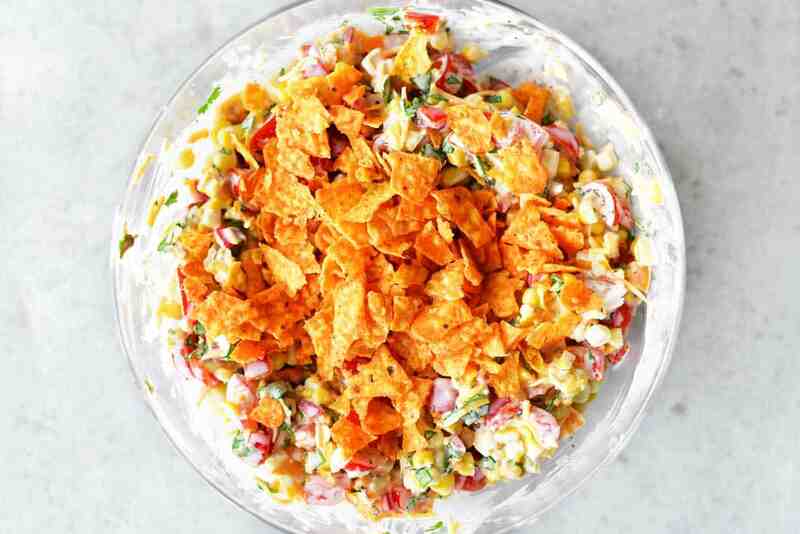 Put corn, diced tomatoes, diced peppers, shredded cheddar cheese, chopped cilantro, and minced onion in a bowl. 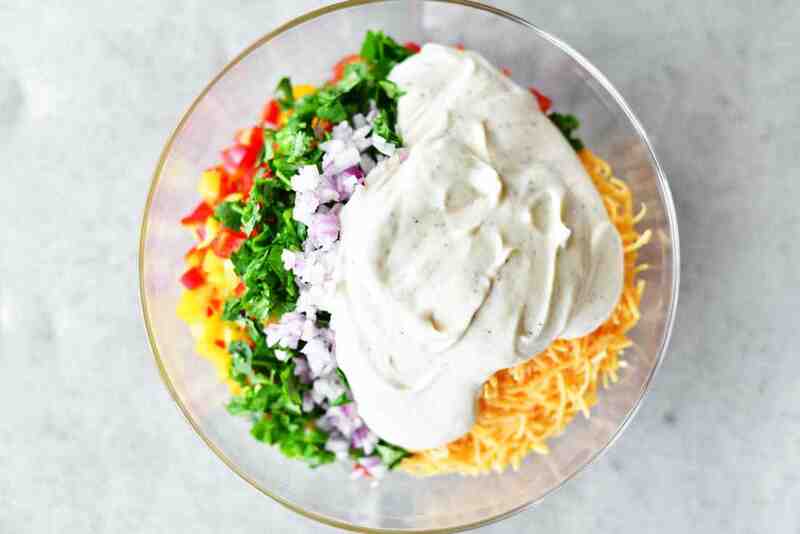 To make the dressing, mix together mayonnaise, garlic powder, black pepper, and lime juice in a small bowl. Spoon the dressing onto the salad. Stir until well combined and the dressing is evenly spread over the salad. 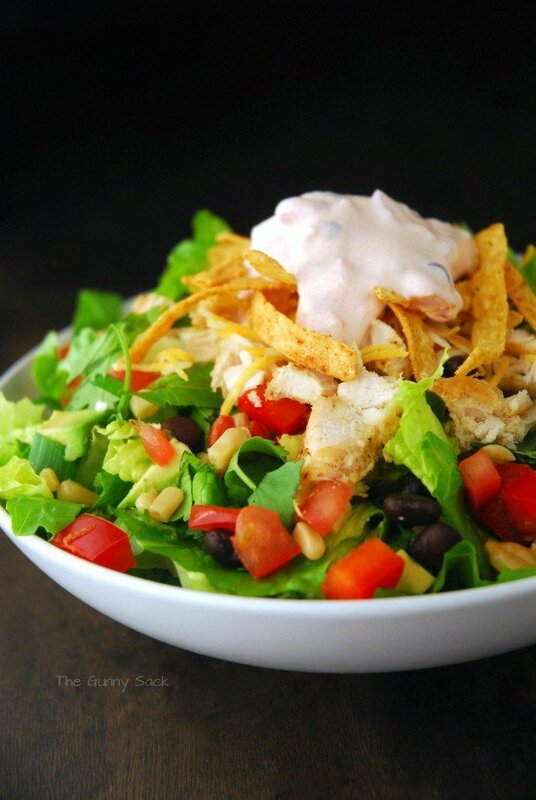 Top the salad with crushed Doritos. 1. Can this salad be made ahead of time? Yes but the dressing tends to get watery over time. For the best results, keep the salad and the dressing separate and mix together before serving. 2. How can I turn this salad into a meal? A diced grilled chicken and it makes a great meal. 3. Can this be served as an appetizer? 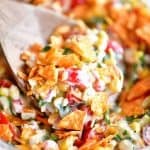 This corn salad makes a great party dip like corn salsa. Serve it with chips to scoop it up. 4. 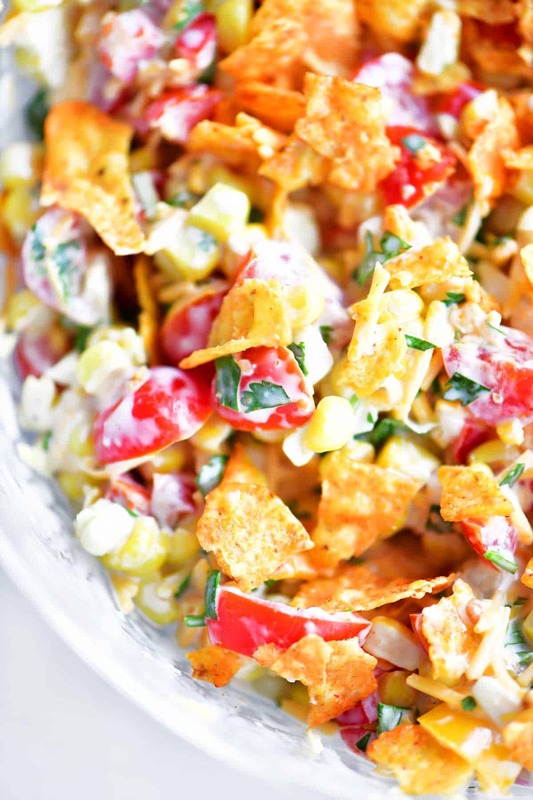 Does the corn salad taste good without chips on top? Yes, it can be eaten without any chips. 5. Can other kinds of chips be used as a topping? Any kind of corn chips would work well. They would be great with Fritos, any flavor of Doritos, or even plain tortilla chips. 6. What else can be added to this salad? Try adding diced avocados, black beans, shredded cabbage, crumbled bacon, diced cucumbers, diced green chilies, or diced jalapenos. 7. How can I add some heat to this summer salad? Try adding a couple of dashes of Tabasco sauce. 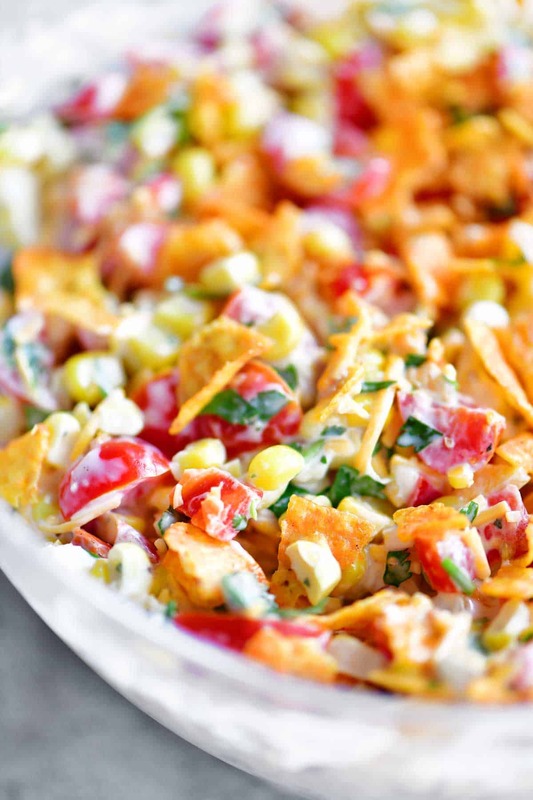 This creamy corn salad is so easy to make and everyone at the party is going to love it! 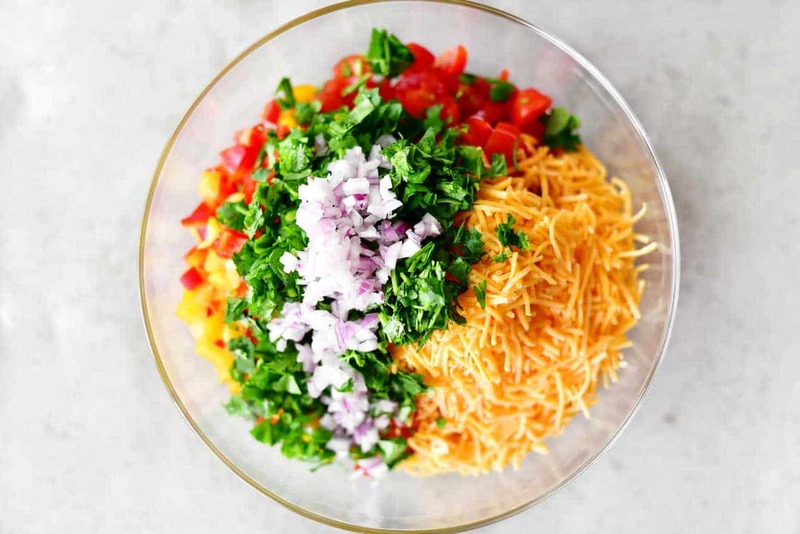 Put corn, diced tomatoes, shredded cheddar cheese, diced peppers, chopped cilantro, and minced onion in a bowl. 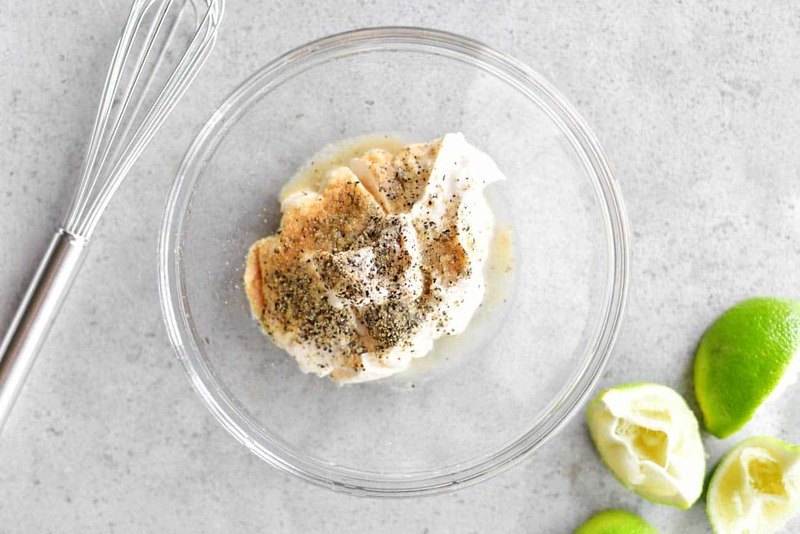 To make the dressing, mix together mayonnaise, black pepper, garlic powder, and lime juice in a small bowl. Spoon the dressing onto the salad. Stir until the salad is well combined and the dressing is evenly spread over everything. Store in the fridge. The dressing tends to get watery over time. For the best results, keep the salad and the dressing separate and mix together before serving. I am preparing this for 6 adults do I need to double this recipe? No, this should be enough for 6 adults. This has been my lunch (with grilled chicken) for the last two weeks. I love it!! I’m right there with you! I’ve tried it with chicken as well and it makes a great lunch!